The willow plant stand, basket and ornamental frames are surviving examples of the “make-do” endeavors of rural community members around the turn of the 19th Century. By using local resources, they created unique, artistic home decorations with lasting sentimental value. At the same time, the larger British and American Arts and Crafts movement heralded such artistic production in response to the Industrial Revolution. Making hand-crafted items reinforced a return to more ideal economic times and better moral health of communities. Such sentiments survive in today’s non-professional, Do-It-Yourself culture and professional crafts that market the decorative appeal of rustic furnishings and home adornments. Besides decorative painting, many other elements were used in these craft projects. Norwegian-American folk art went far beyond rosemaling and acanthus wood carving. Picture frames are objects often connected to sentimental value and, because of that, they were common in the make-do practice. 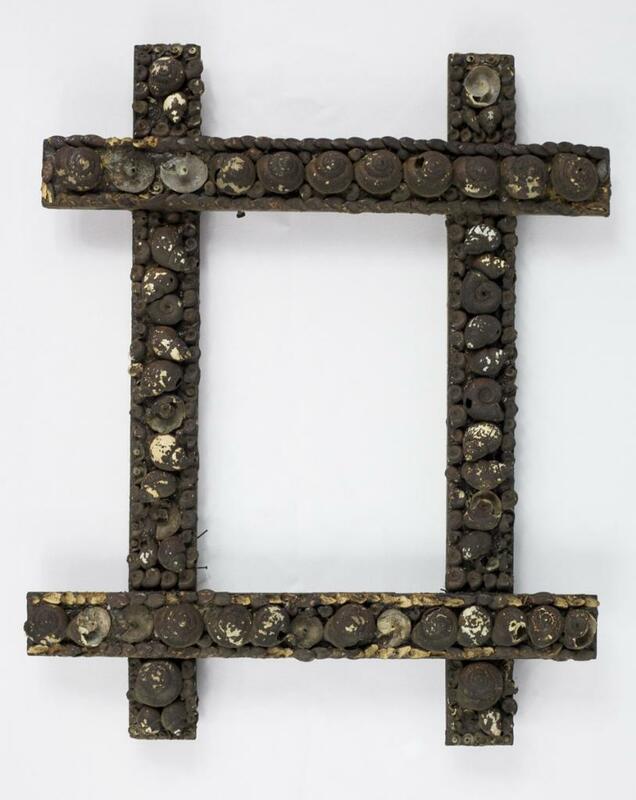 This frame received peculiar natural elements as ornaments: snail shells and watermelon seeds, materials probably abundant in rural communities, glued to a rectangular wooden structure. Make-do was a vivid activity among Norwegian-American self-taught folk-artists. By adding new elements, the pieces were modified and became unique in character. Until today this habit inspires people around the world with the DIY – Do It Yourself- movement.